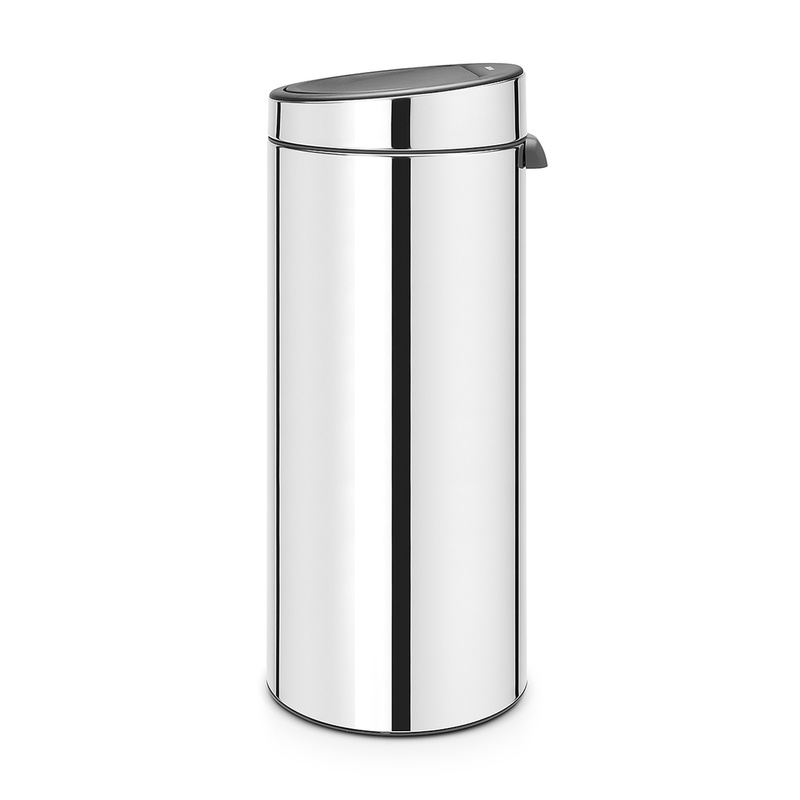 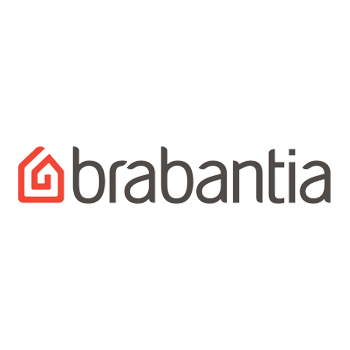 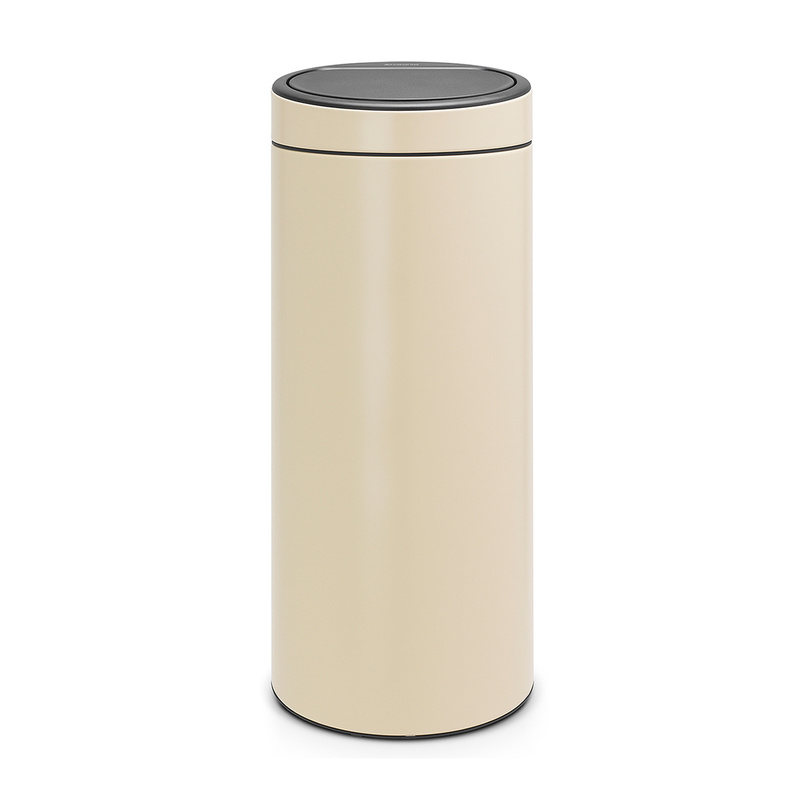 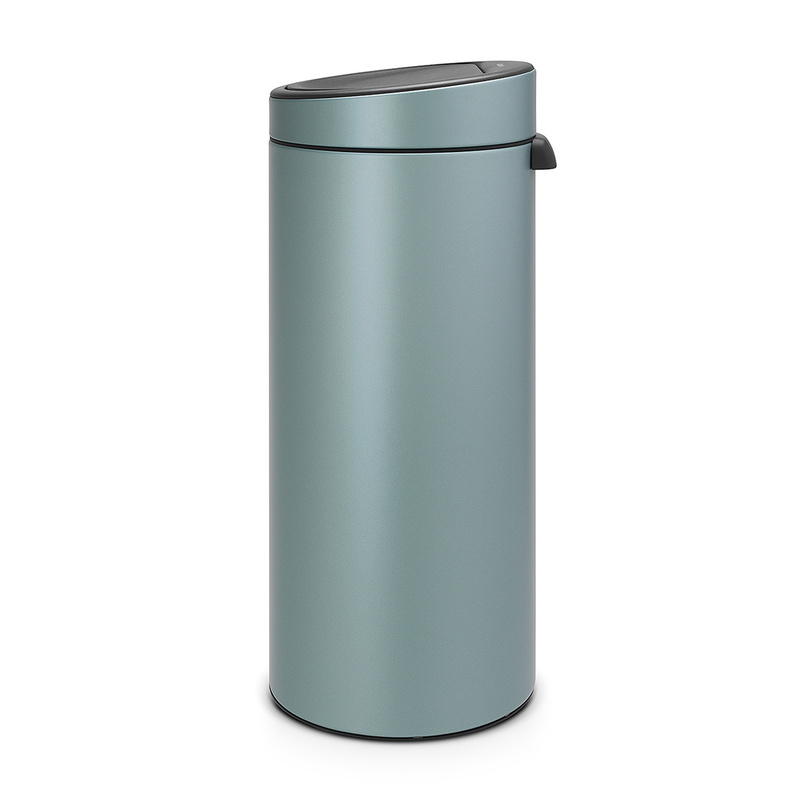 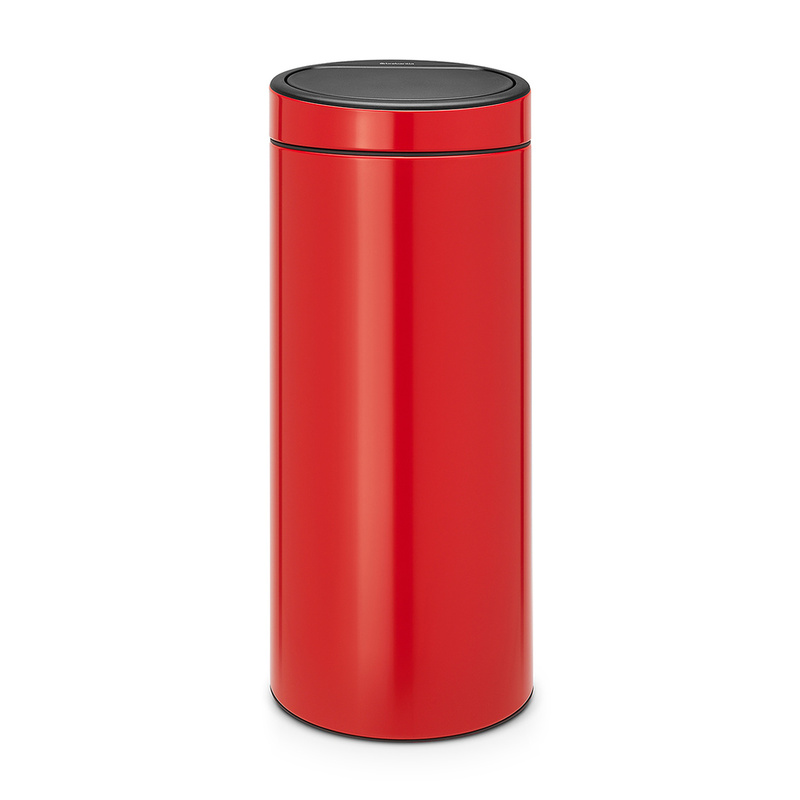 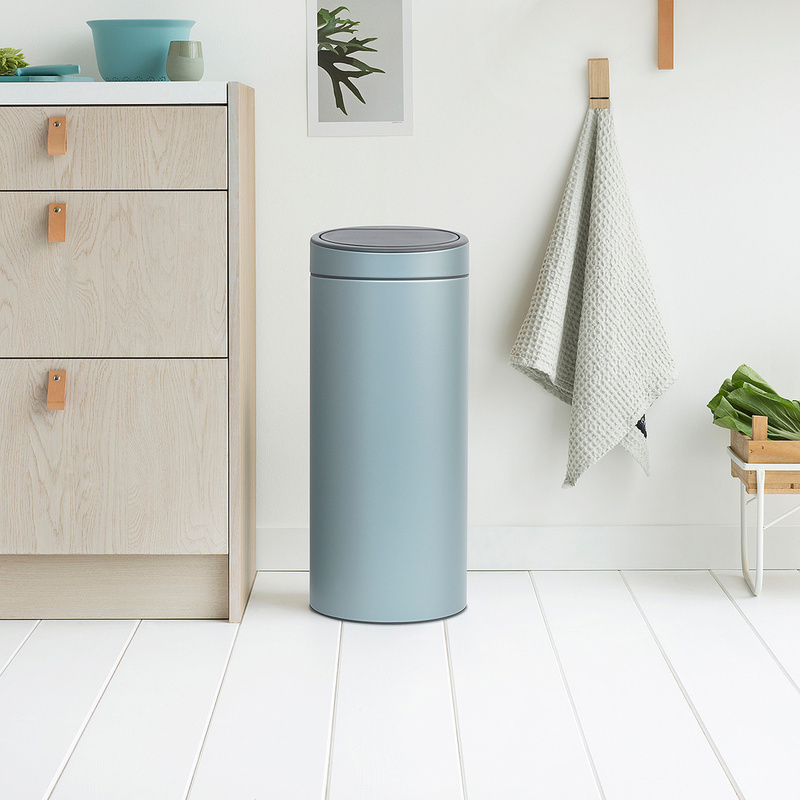 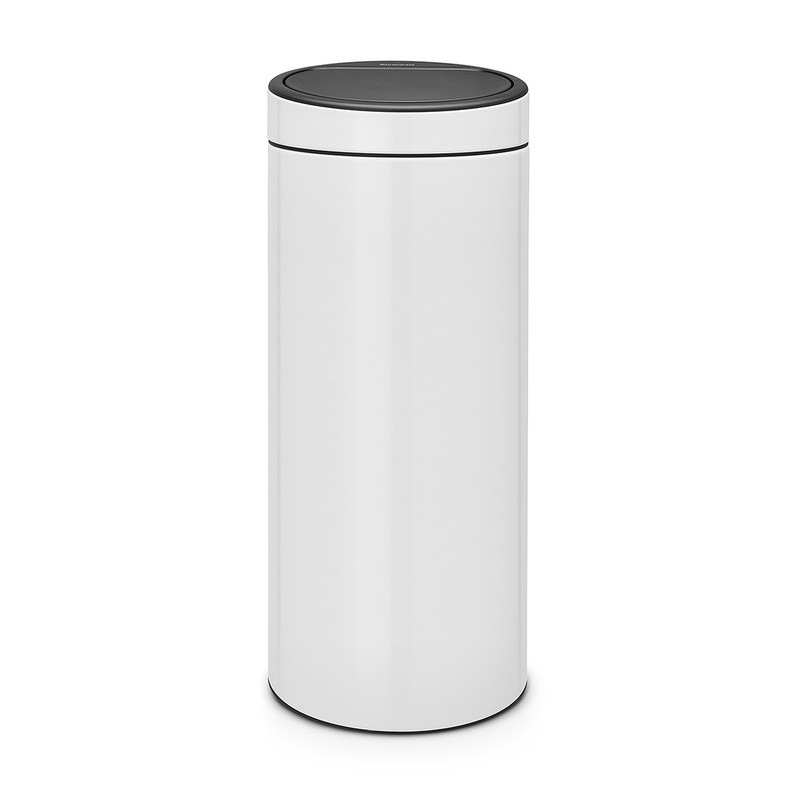 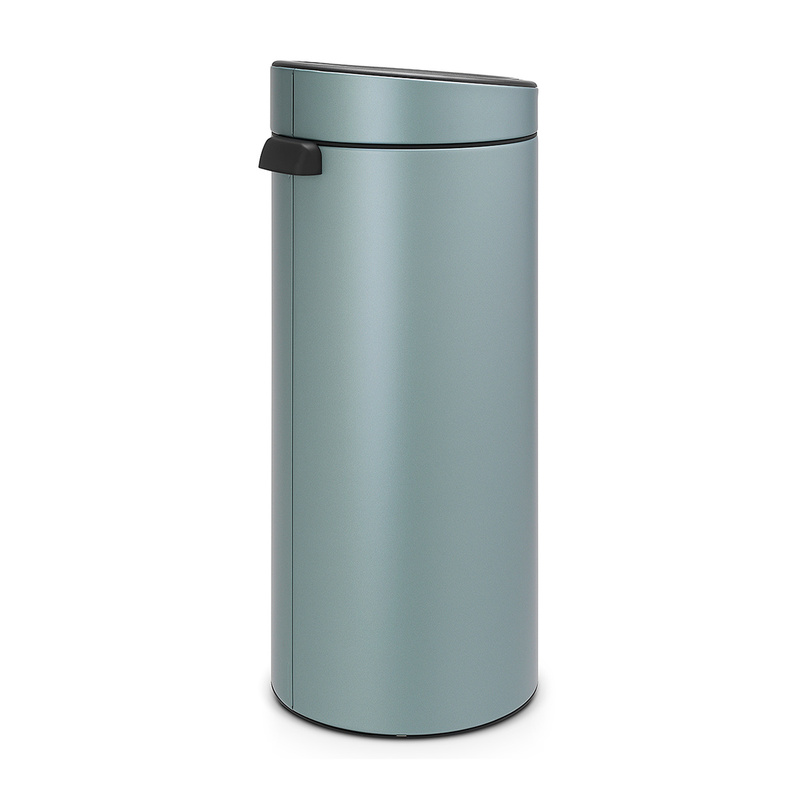 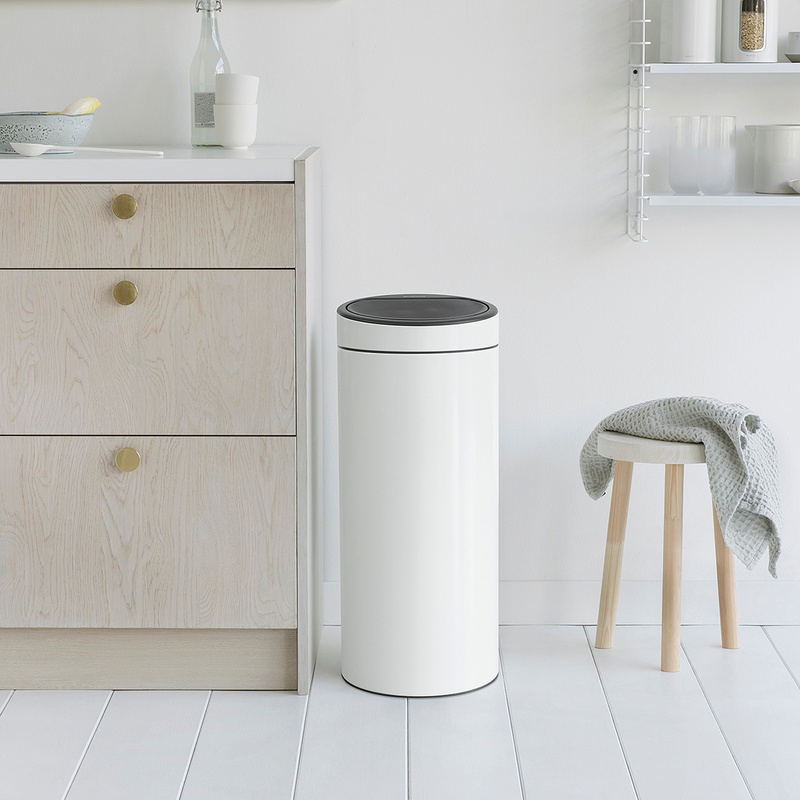 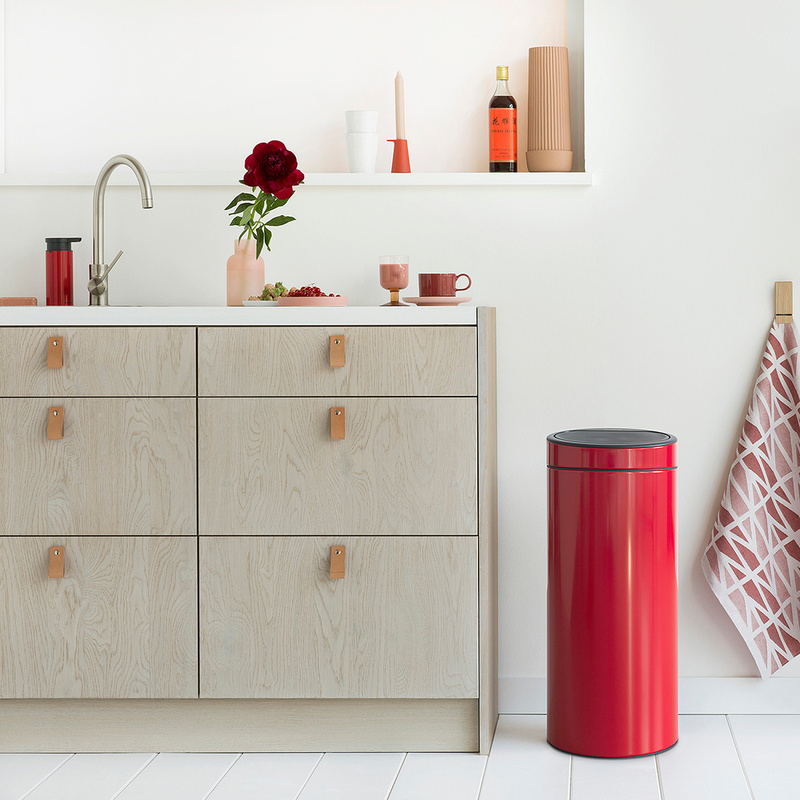 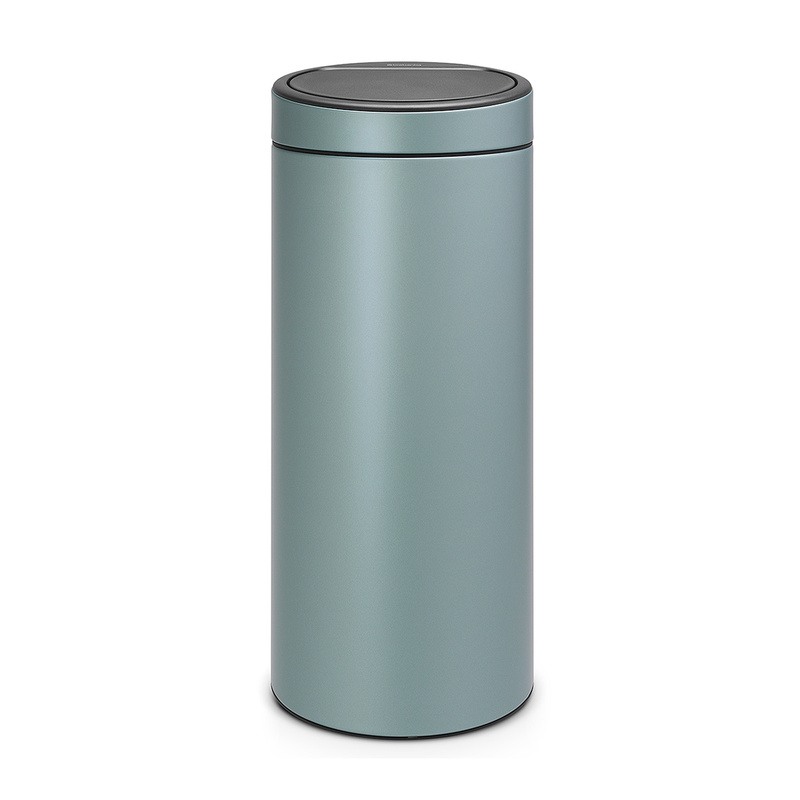 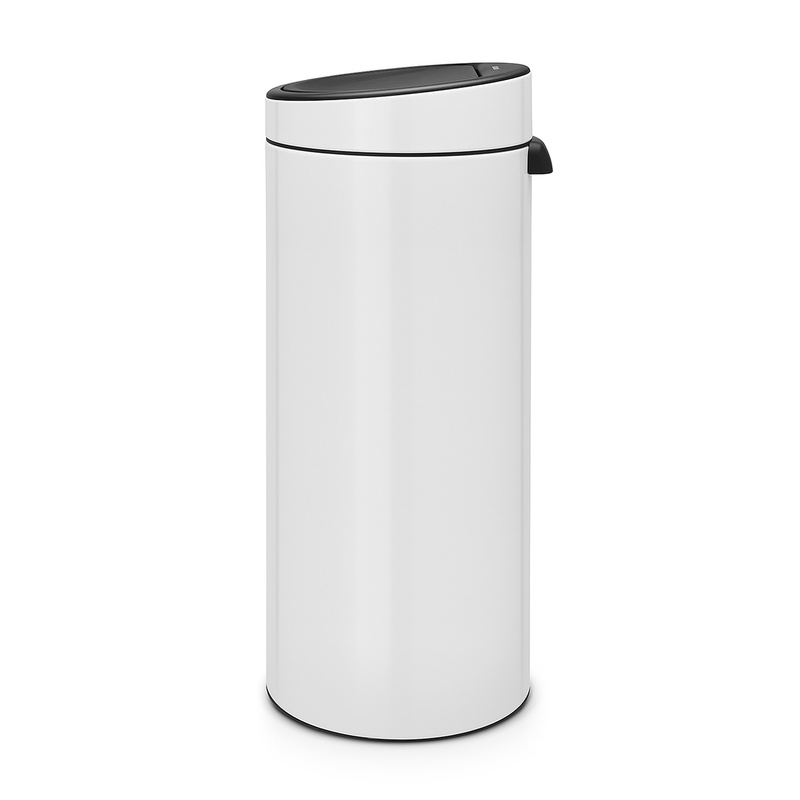 One of many versions of the same item offered by Brabantia, the Touch New dustbin is equipped with a practical internal plastic bucket and a Soft Touch opening system that makes it particularly silent and thus enjoyable to use. 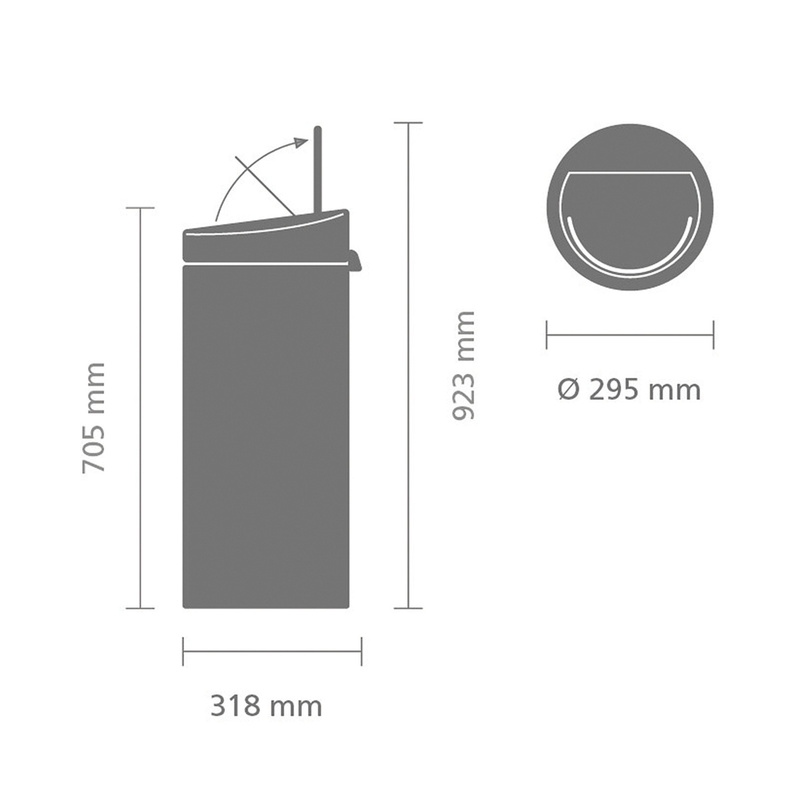 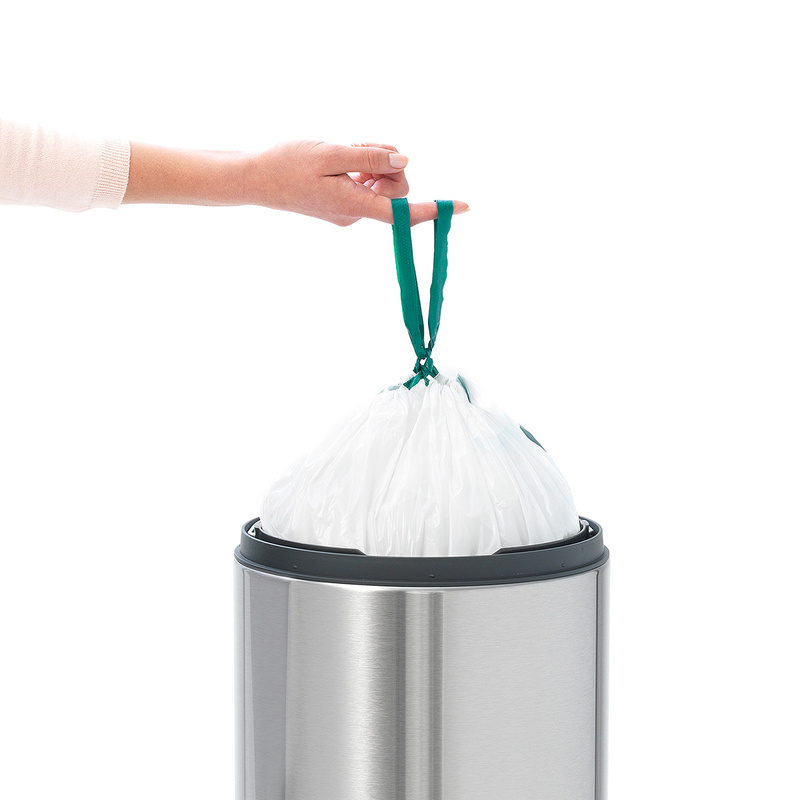 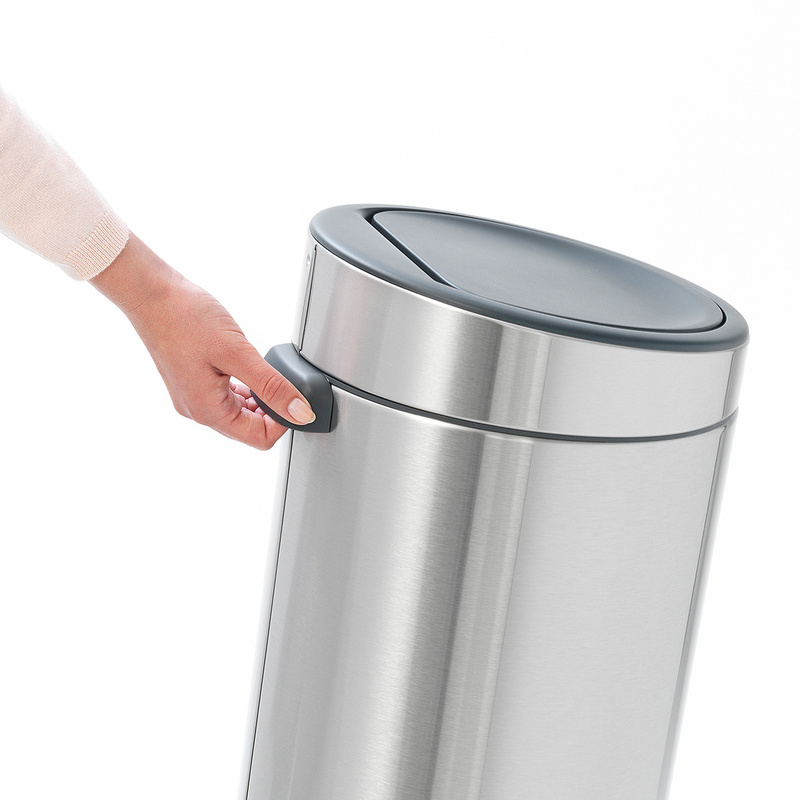 Waste bags can be changed very easily as special ventilation holes in the inner bucket allow excess air to escape when inserting the waste bag and thus avoid the creation of a vacuum-effect, and small details like the stainless steel removable lid and the sturdy handle make it easy to use and move according to need. 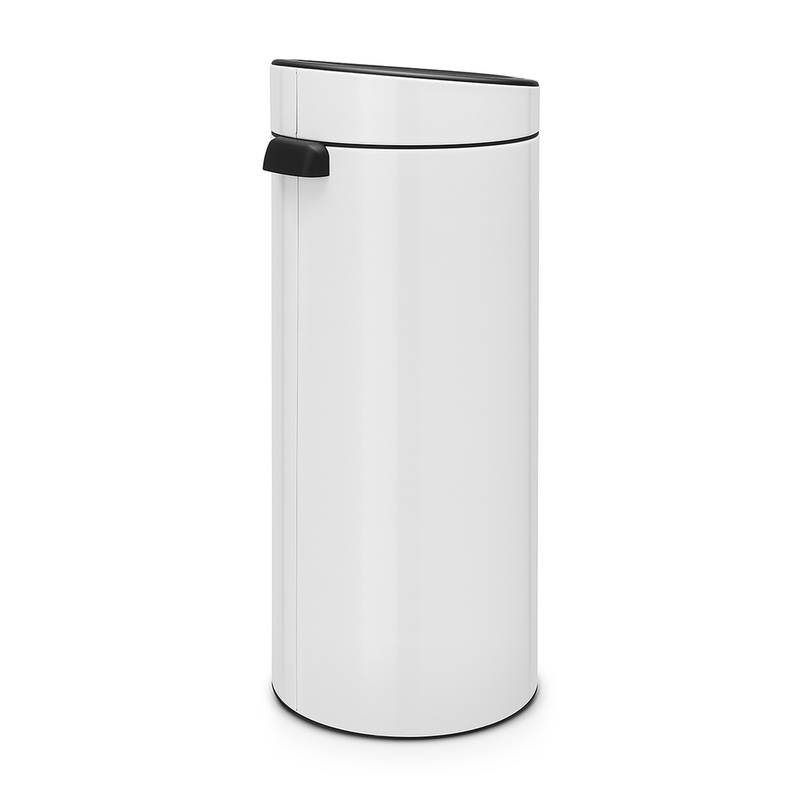 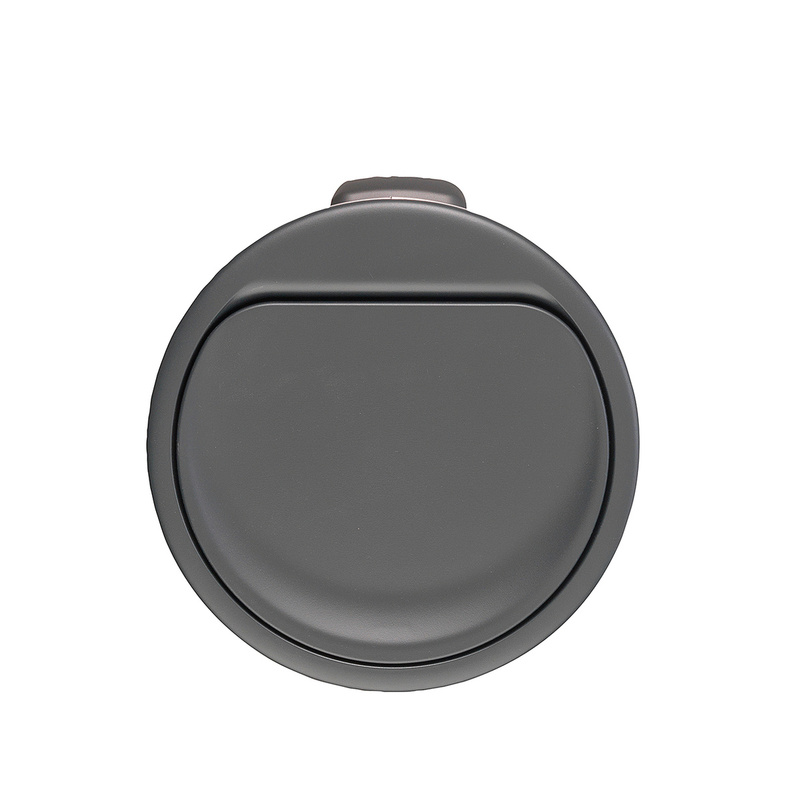 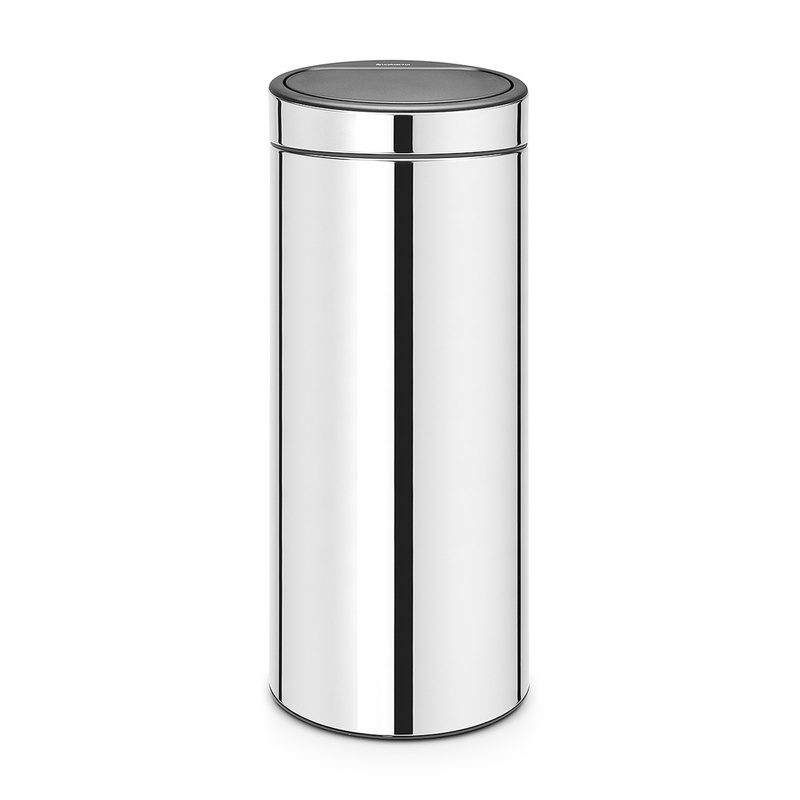 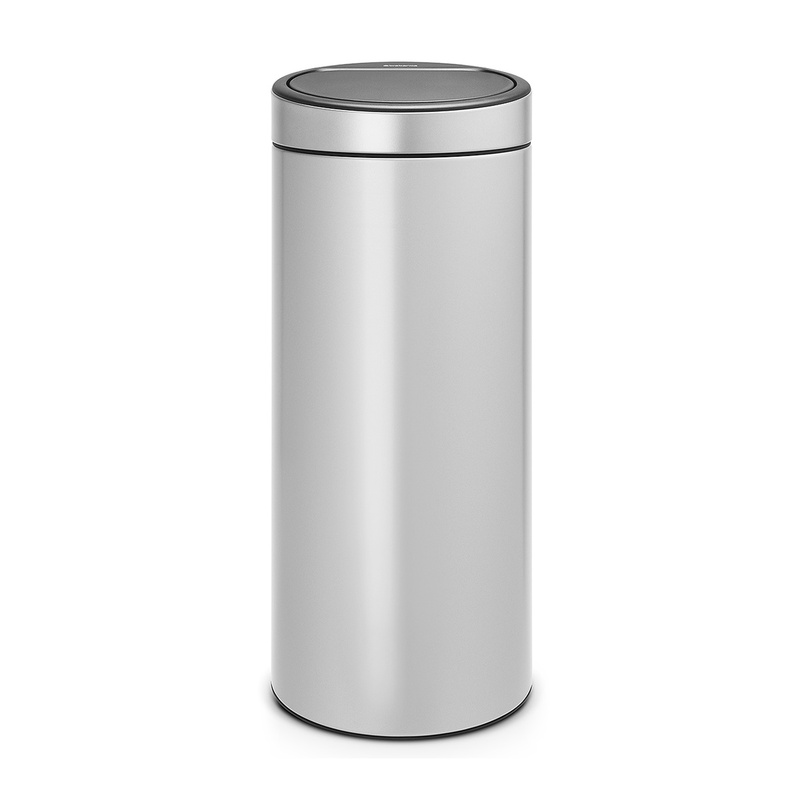 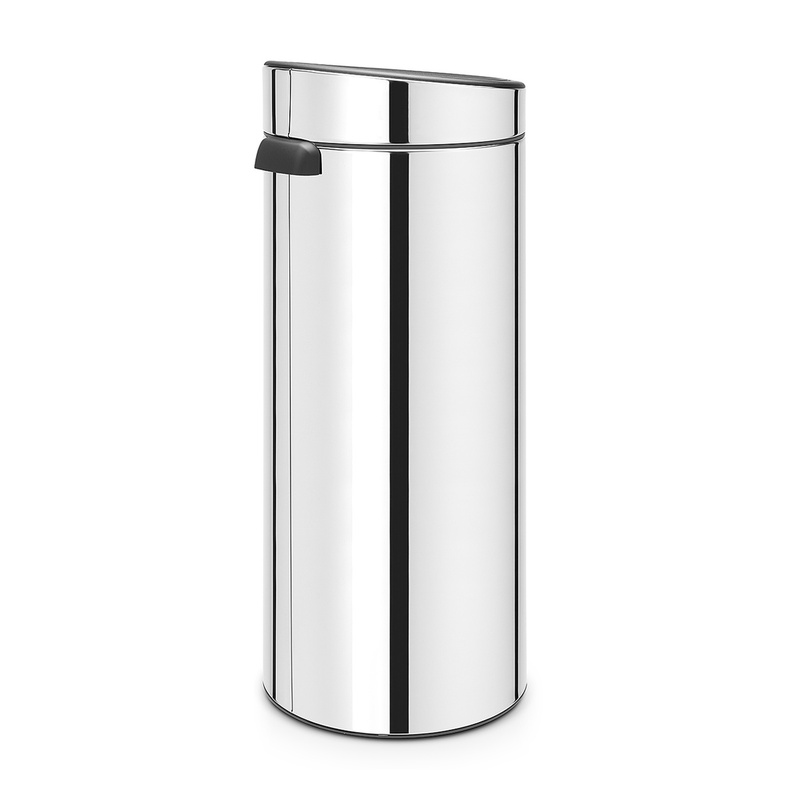 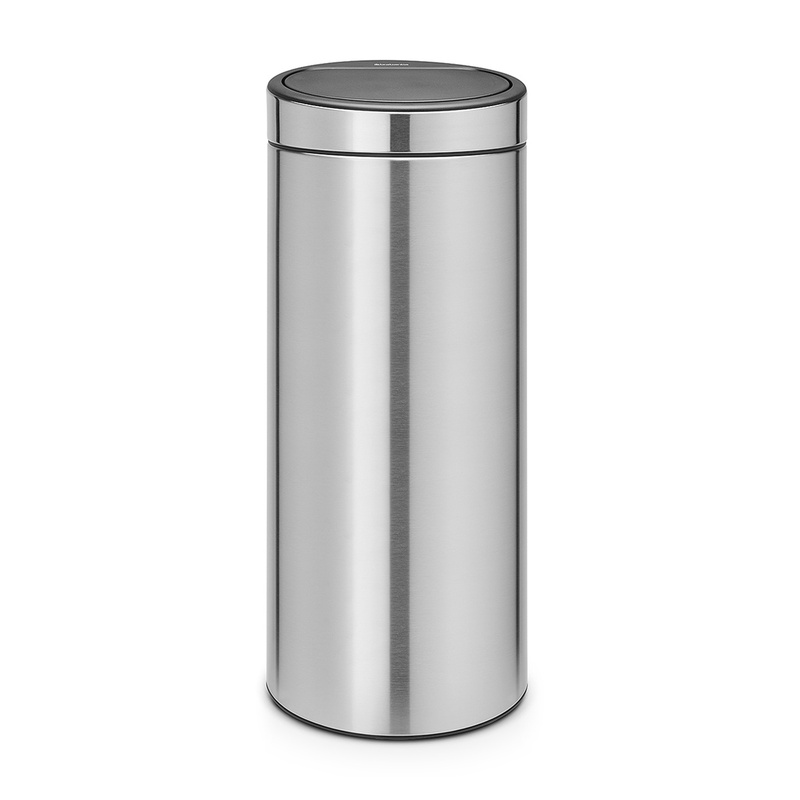 The dustbin is covered by a 10-year warranty.